It’s been all but announced; at least one model of the iPhone 6 will be bigger than you’re used to. Rumors have been swirling for some time that Apple is likely to announce two models this year, one at 4.7 inches and another at a whopping 5.5 inches. Android users are no stranger to larger phones; Google’s flagship Nexus 5 is 4.9 inches and Samsung’s flagship S5 comes in at 5.1 inches. In Asia, smartphones over 5 inches in size are the fastest growing category and consumers overwhelmingly prefer large phones. 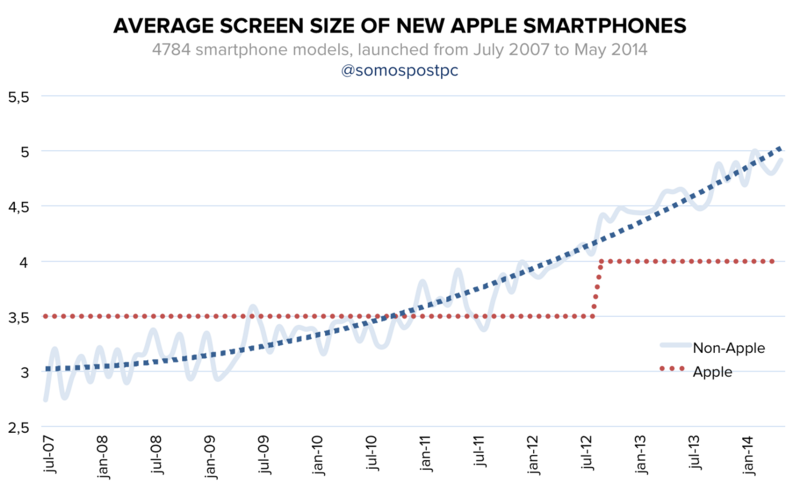 The graph above illustrates just how quickly over the last two years, the average screen size of smartphones has quickly risen with one exception: Apple (pictured below). The last two versions of the iPhone have stuck with the 4 inch size, despite the market shifting to larger devices. Instead of being a market leader, Apple is now the laggard. Steve Jobs famously mocked Android phones for being too large, joking that “you can’t get your hand around it” so “no one’s going to buy that.” Jobs was right, in my opinion, that the iPhone is the perfect size for comfortable use, but in reality it’s quickly becoming too small for many users as they seek more screen real estate. It seems unlikely Jobs would have approved a 4.7 inch iPhone, let alone a 5.5 inch one, but it’s Tim Cook’s Apple now and he appears to understand where the market is headed: bigger is better. Apple’s actually known this for a while, with a leaked internal slideshow indicating that the company is aware that the majority of growth is in this area. In Asia, an unusual phenomenon is taking place: customers are buying up tablets that feature voice calling instead of phones in droves. Why? Because the more space you have on screen, the more content you can consume and the more screen you have, the bigger the battery can be. Looking at the usable screen real estate in iOS 8 running on the iPhone 5s illustrates the problem quickly. 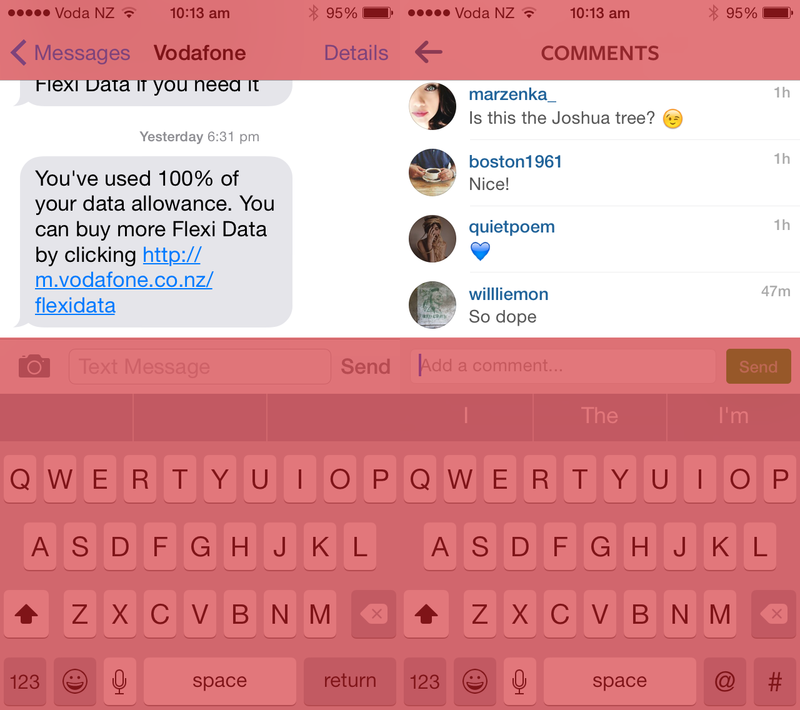 In the image below, red indicates space used by the iOS keyboard as well as the app’s ‘chrome.’ The unhighlighted area is all that’s left for the actual content. The screen is occupied by two thirds OS/app chrome and just a third of the actual content when the keyboard is displayed. There is less breathing room on screen as more controls, options and other items are added to apps and iOS itself have been added over the years. I spent a few weeks using Android L Preview on a Nexus 5 recently and was converted from being against larger phones to being an enthused fan. Going back to the iPhone 5s after using a large screen for a while made the iPhone feel tiny and this is where I think fans of the current iPhone size will need to be sold. There’s another benefit to larger phones: they tend to have far better battery life. There’s only so much battery you can cram into smaller phones, but with a larger display and more surface area comes a larger battery, which helps with consuming all that glorious content for even longer. A bigger iPhone could mean two things in terms of the display; either more content on screen, or larger elements. How iOS handles a larger phone is largely down to how Apple decides to use the new real estate. If the company chooses to leave the Retina display’s pixel density the same as now, apps will just stretch thanks to the company’s focus on adaptive layouts, but if it chooses to modify the pixel density to using three pixels for every one (@3x) (instead of the current @2x) apps will have more space to play with. As John Gruber pointed out over the weekend, the sweet spot will hopefully be somewhere between both of these things, where elements get slightly larger but apps also have more room to play with. The details of how it works aren’t the problem, though, it’s convincing long-time Apple users that a bigger phone is worth the upgrade. Large phones look a little ridiculous from afar, but once you’re able to use a larger phone in real life and realize how much more real estate there is, you’re a convert. This is Apple’s most significant challenge in selling a new iPhone; how do you convince people to buy a bigger phone when they think the current size is perfect? Luckily, Apple users tend to be ones that upgrade, quickly and as more loyal users try the larger models I suspect they’ll quickly become converts. Customers who think that the current batch of Android phones are ‘too large’ are quickly going to change their opinions on larger phones. Part of this strategy is likely to be the distinct lack of a new 4 inch model that you’re familiar with this year. 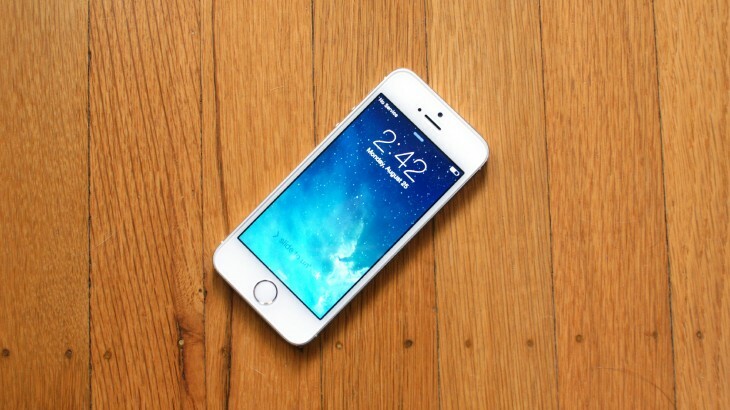 You’ll still be able to buy the iPhone 5s and 5c, but it’s unlikely there will be another 4 inch model. 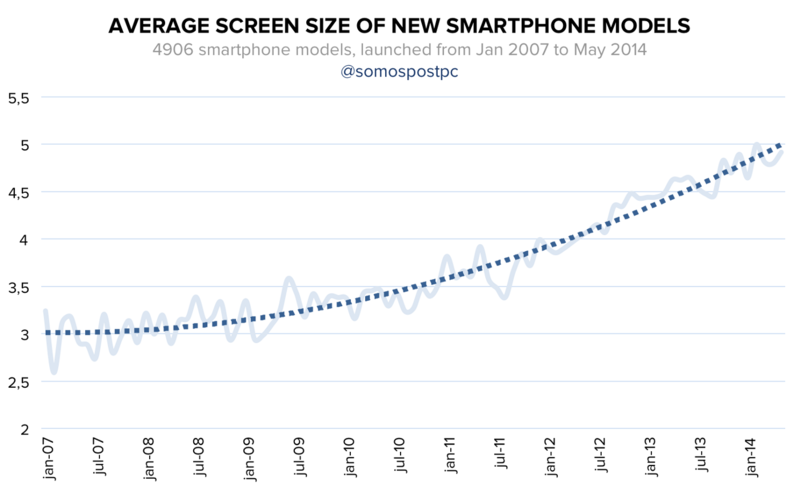 It’s time to get used to the new world of large phones, because they aren’t getting smaller again anytime soon. I suspect that the rumored 4.7 inch iPhone will initially be the most popular model in Europe and the US, but the 5.5 inch model will instantly gain popularity in Asia. 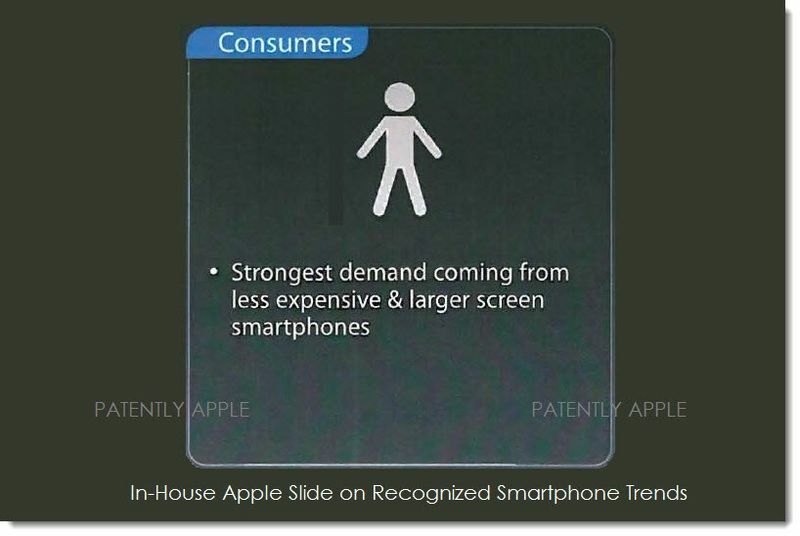 Once the 5.5 inch model has been available for a longer period of time (perhaps by the time next year’s iPhone rolls around), I expect that the majority of consumers will end up moving or considering a move to the larger size as they see the benefits and become more accustomed to larger phones. The majority of phones are about to get a lot bigger; what remains to be seen is if Apple users will take the opportunity to upgrade or try to stick to their smaller devices.